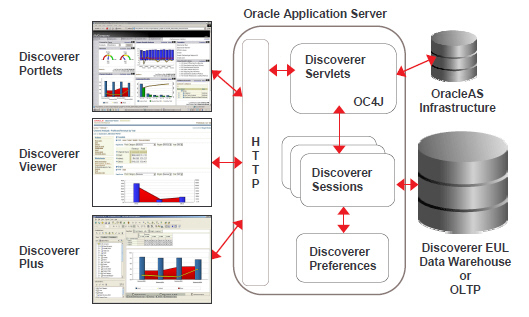 hello discoverer friends, here a good technical insight within oracle discoverer for scheduled report, what are the tables behind and how they linked. hope you would like n find it useful. do share ur feedback to improve future articles. How to delete scheduled workbooks and results in Discoverer. All objects have the same unique sequence number in the name. The R1 tables hold the results of a particular run of a scheduled workbook. A scheduled workbook can have a number of R1 tables, because a new table is created every time the scheduled workbook runs. If deleting the result sets for a scheduled workbook through the Discoverer Plus or Desktop then the R1 tables will be deleted from the database. If deleting the scheduled workbook from the Scheduling Manager then all the database objects will be deleted.